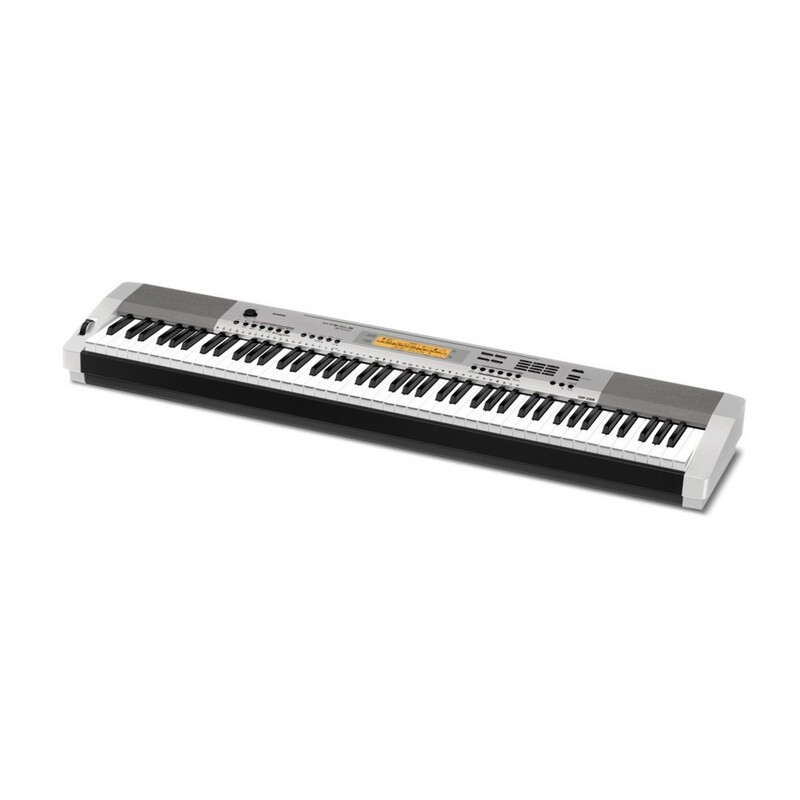 The Casio CDP 230R Digital Piano comes packed with all the effects and sounds to satisfy any musical style. With 700 AHL keyboard voices and 200 preset rhythms, the CDP 230R features a wide range of functions and digital effects. Also equipped with an Arpeggiator, Scale Tuning, and an improved string tone, the CDP 230R gives a balanced sound upon 88 weighted, scaled hammer action keys. Easy to access is also a concert hall reverb effect, and a rhythm editor to create unique and inspired performances. 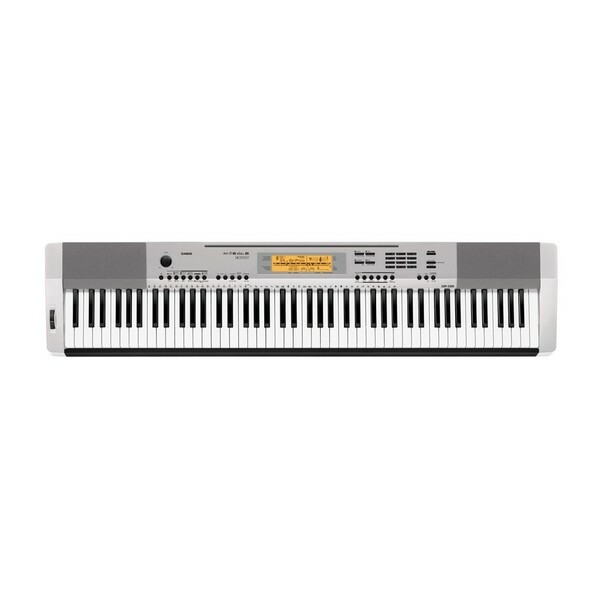 The Casio CDP 230R comes equipped with Acoustic and Highly-Compressed Large-Waveform (AHL). 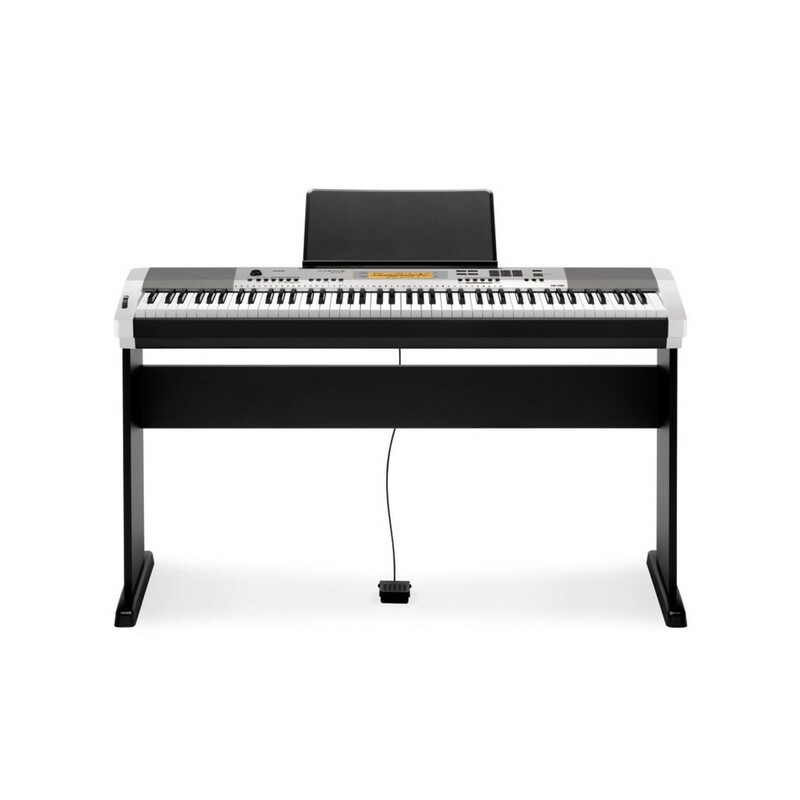 When coupled with the authentic Scaled Hammer Action, it brings the sound of the digital CDP 230R closer to that of an acoustic piano, and delivers more texture and depth with every keystroke. The 48 note polyphony allows 48 notes to sound simultaneously; a significant advantage when playing at a higher level. Up to 700 separate tones are stored within the CDP 230R, making the possibilities for variation in a performance endless. The effect of a full band can also be achieved at the touch of a button with the CDP 230R’s Auto Accompaniment feature, producing all the chords and supplementary harmonies you need to easily build the layers of a performance. There are 200 pre-set rhythms that can act as a full musical accompaniment, and 152 stored songs to either play along with or simply listen to. The CDP 230R is packed with features to help create the most original music possible. Reverb and Chorus are present to embed each keystroke with classic effects. The Layer function allows you to layer two tones alongside one another. The Split effect can divide the CDP 230R into two separate instruments, meaning the player can control two effects with either hand. This shows the amount of variety and variability available to create a truly unique performance. The Step Up Lesson feature on the CDP 230R is an effective way of learning how to master songs. The feature allows the player to listen to the desired phrase, play it with assistance via the LCD screen, and then perform it on their own. The CDP 230R will then evaluate the performance, and can even give assistance by calling out finger numbers. This means effective learning, anytime, making the CDP 230R perfect for both beginners and intermediate players.